EIELSON AFB, Alaska --- Modern warfare is in a state of continual evolution, from how the battle is fought to the tools and equipment with which those battles are won. This is why being able to train with the most cutting-edge military technology is so vital to the readiness of the force, as they learn to grapple with the nuances of 21st century combat. However, RED FLAG-Alaska provides an ideal platform for integration of joint and multinational forces to train with the latest advances so we can maintain a competitive edge, no matter how future battles are waged. 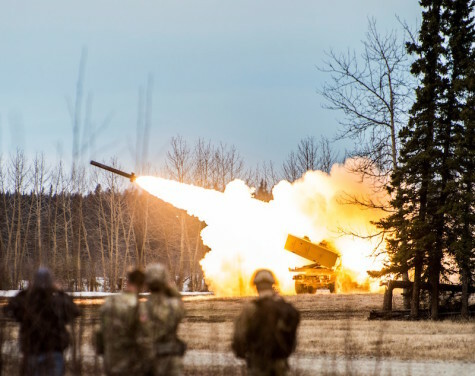 And for the first-time ever in RED FLAG-Alaska history, a joint capability was on display when the 18th Field Artillery Brigade completed a High Mobility Artillery Rocket System rapid infiltration (HIRAIN) mission in 49 minutes. A HIMARS is a ground asset used by the Army and Marine Corps and is comprised of a truck and a multiple launch rocket system. This setup gives it the unique ability and flexibility to launch its payload at ground targets, and then quickly move to a different location, thus keeping the enemy guessing about its whereabouts. 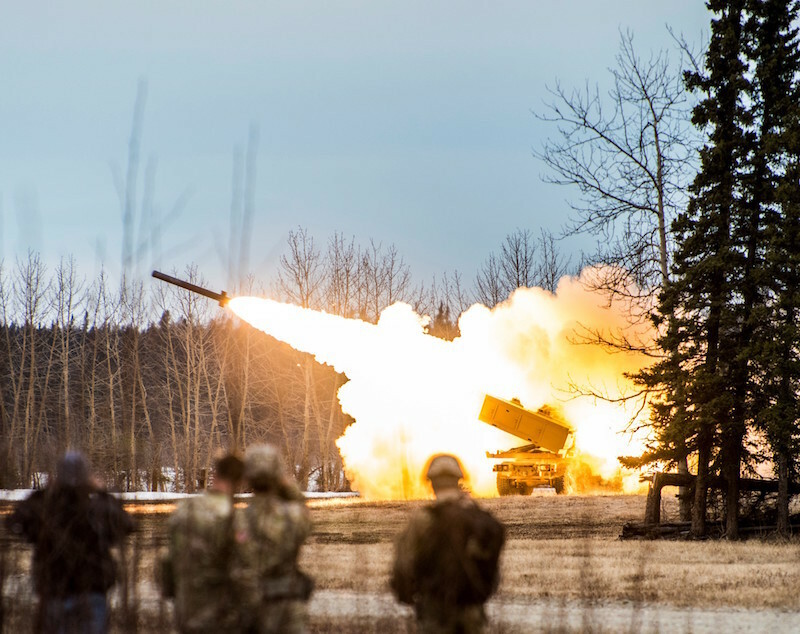 The M142 HIMARS is an impressive system on its own, but when partnered with the Air Force’s C-17 Globemaster III as a part of RED FLAG-Alaska, the two become a precision strategic strike package with nearly limitless range. During the HIRAIN, two HIMARS were flown by a C-17 to Fort Greely, where they were unloaded and driven to a firing location, one of them expending their payload. After this, they were driven back onto the C-17, all while F-15s, F-16s, and E/A-18s were still fighting in the same airspace. No one knows how wars will be fought in the future, but through joint cooperation and integration of innovative tactics, techniques and procedures, the U.S. military will remain a dominant force in the world.